Shopping malls won't go down without a fight, however, and for the present moment, there are a ton of malls and centres that are more than happy to take your plastic, your cash or your soul if it comes down to it. 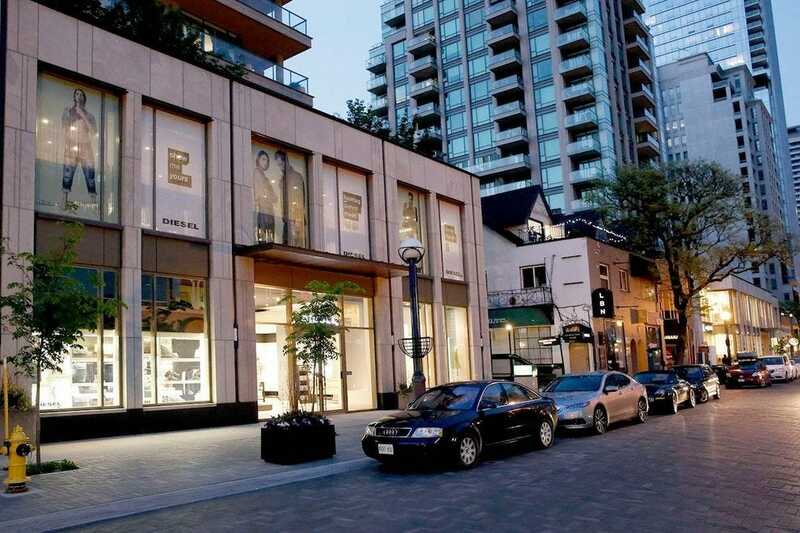 Upscale shopping at its best; this Bloor-Yorkville destination has been at the top of the list for visiting celebs and well-to-do Torontonians since it opened back in the 1970s. Look for shoes, handbags and couture from designers such as Badgley Mischka, Christian Louboutin, Monique L'huillier, Michael Kors, Carolina Herrera, Stella McCartney, Vivienne Westwood and Zac Posen. Shop for organic groceries at Whole Foods (often dubbed as Whole Paycheck) with the cloth bag-touting elite. Pick up a bottle of wine. Go to the Yorkville Club for a sweaty yoga class or spinning session. 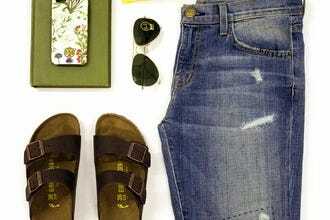 Whatever you do here, it will be stylish because it's all about location, location, location. 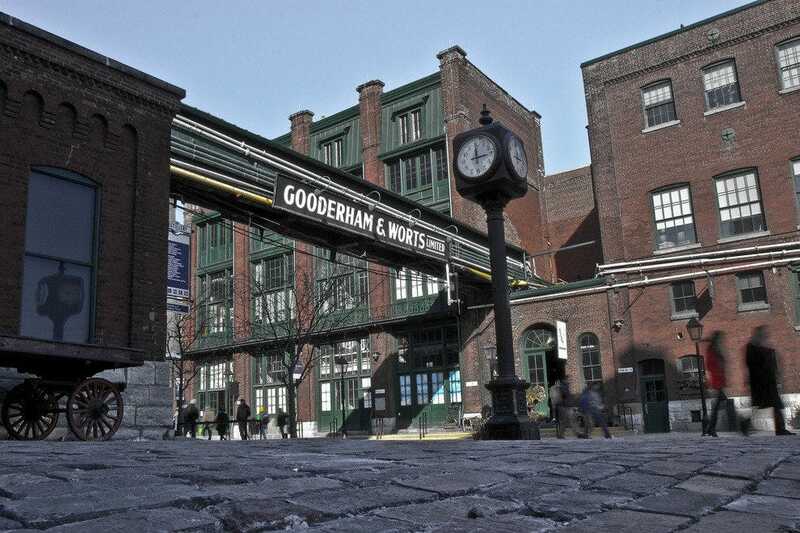 Toronto's Distillery Historic District began in 1859 as the site of the Gooderham and Worts whiskey distillery. 100 years later, the distillery was producing nearly half of the total volume of spirits in the province of Ontario, making it one of the country's most important manufacturing facilities (People like their spirits!). As war, prohibition and outsourcing changed the face of Toronto, it did its number on the distillery which closed in 1990. 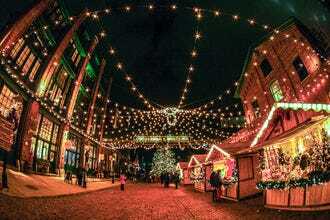 However, 13 years later this historic district got its second chance and became a charming pedestrian-only village. This area of Toronto today is like no other, with cobblestone pathways and Victorian-era buildings housing restaurants, boutiques and art galleries. Did you know Toronto is home to the world's best food market? 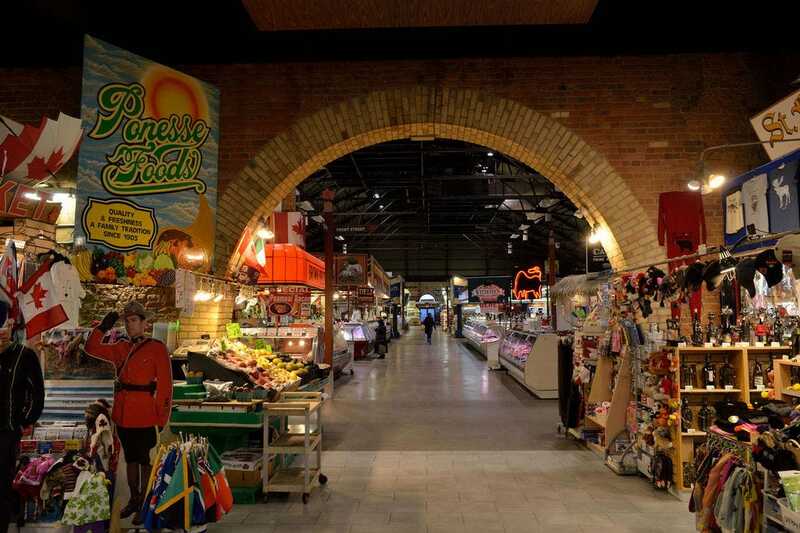 According to National Geographic magazine, the St. Lawrence Market in the southeast end of the city's downtown core has the globe's greatest collection of vendors selling all manner of food. 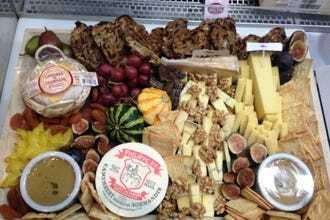 Walk around the indoor marketplace, in operation since 1803, and you'll find permanent vendors hawking the freshest seafood, cheeses from around the world, and meats and produce grown just outside the city. But as glorious as the St. Lawrence Market's food selection is, that's not all you'll find here. There is one-of-a-kind jewellery, fresh flowers, clothing, gifts and souvenirs. 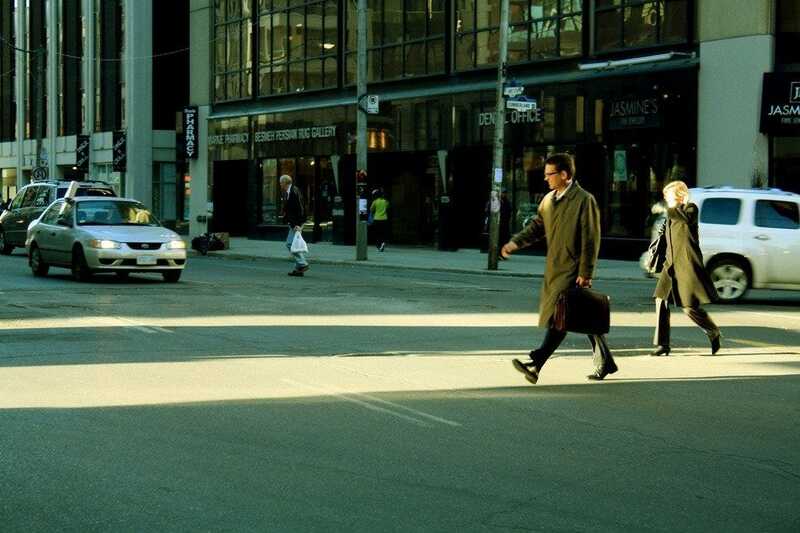 Join one of the market's daily walking tours to discover the area's fascinating history and its importance in Toronto's growth as a city. In the 1960s, this neighbourhood in the heart of downtown was Toronto's hippie haven. But today, it is the city's heart of haute couture. The area nicknamed the Mink Mile boasts one of Canada's greatest collections of high-end shops, including the likes of Luis Vuitton, Prada and Vera Wang. And while you're more likely to see Ferraris cruising the streets in Bloor-Yorkville than just about anywhere else in Toronto, the area is also home to many mid-market shopping options such as Banana Republic and H&M. There is truly something for everyone. In between store visits, be sure to pause for an espresso or lunch at one of the many area cafes and bistros. The patios and park benches that dot the neighbourhood are perfect for people watching and celebrity spotting, especially during the famed Toronto International Film Festival that takes place each fall. 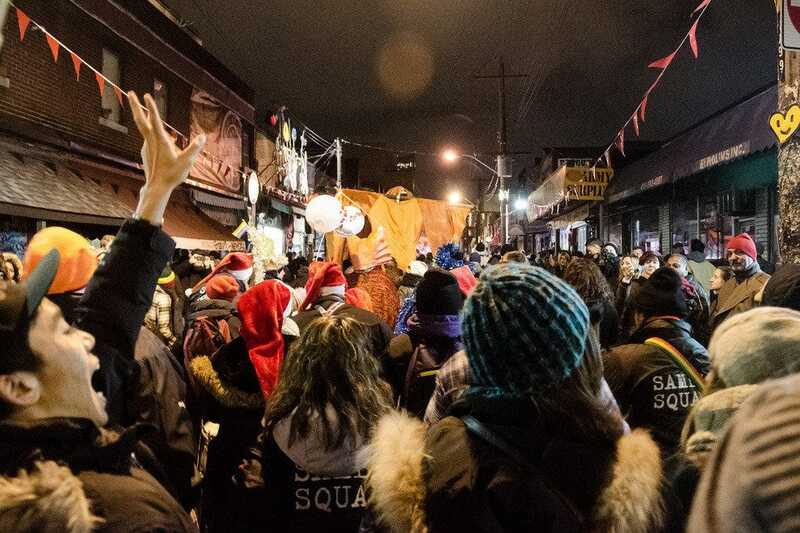 In a city of neighbourhoods, Kensington Market easily qualifies as Toronto's most unique. The small residential and commercial hub sits between Bathurst Street and Spadina Avenue on its west and east boundaries, and College Street and Dundas Street to the north and south. One of Toronto's oldest neighbourhoods, it's been home to many different cultural groups over more than 125 years --Irish and Scottish labourers, World War 1-era European Jewish immigrants, and more recently, people from China and Latin America. Many original Victorian rowhouses still line the narrow streets, and the wares of produce vendors and clothing stores are still displayed along the sidewalks as they were 100 years ago. Check out the eclectic variety of cultural and vintage items available in Kensington Market's shops. And if you're looking for Toronto's best selection of Mexican and South American foods, you'll find it here. Ever wonder what is happening below the surface? People in Toronto don't. 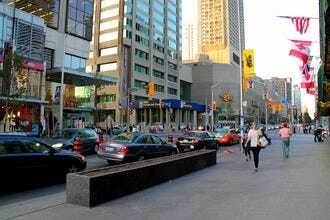 Toronto's famous underground walkway connects 30 kilometres of shopping, services and entertainment. It makes it possible for a Canadian to own a winter jacket, but never use it even with subzero temperatures. More than 50 buildings are connected through the PATH, which also links some of Toronto's biggest tourist attractions, such as The Air Canada Centre and the CN Tower. 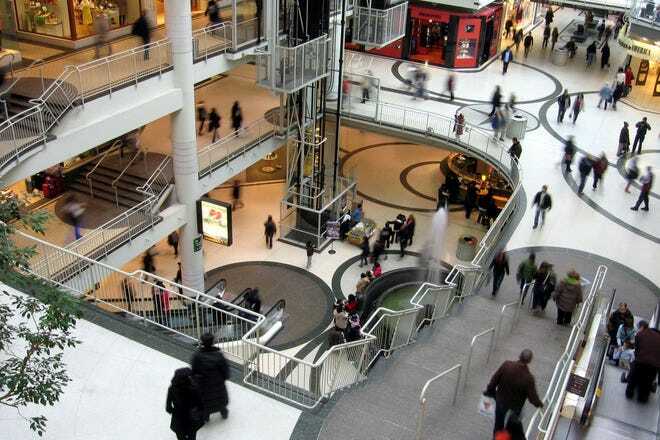 This underground maze began construction in 1900 when Eatons connected its store with its bargain annex by underground tunnels. 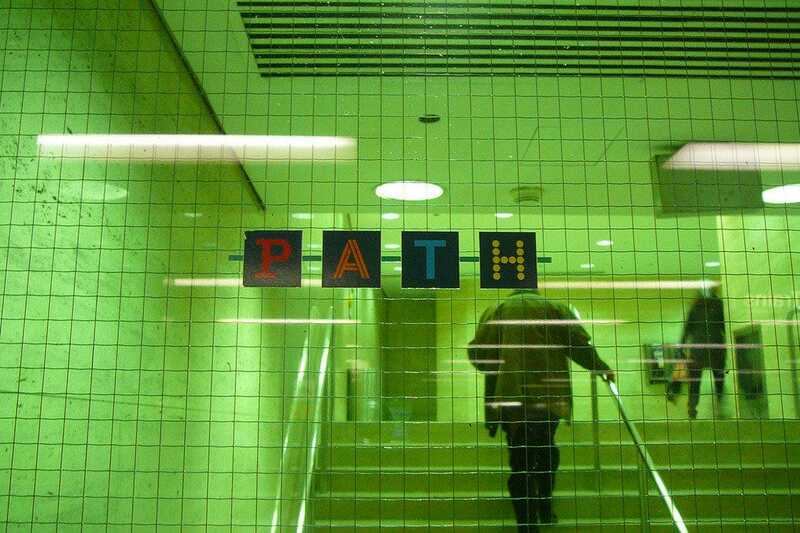 It took until the early 1990s to get signage to help people to navigate the underground, but better late than never. When Yorkdale opened in a north Toronto suburban area 1964, it was the world's largest mall. Although it no longer holds that title, Yorkdale is no less impressive a paradise for shopaholics. More than 400,000 customers visit each week, but Yorkdale's spacious hallways and 27-foot high ceilings give shoppers the feeling of space even on the busiest days. Throughout the past decade, stylish renovations have helped Yorkdale draw an increasing number of upscale retail tenants, including Michael Kors, Tiffany & Co. and even Canada's first Apple store. The fall 2016 $330 million expansion made the mall beautifully modern to match its high end stores. Hungry shoppers can call ahead to reserve a table at Yorkdale's food court (Dine on 3), while a concierge desk offers everything from complimentary reading material to post-meal mints. 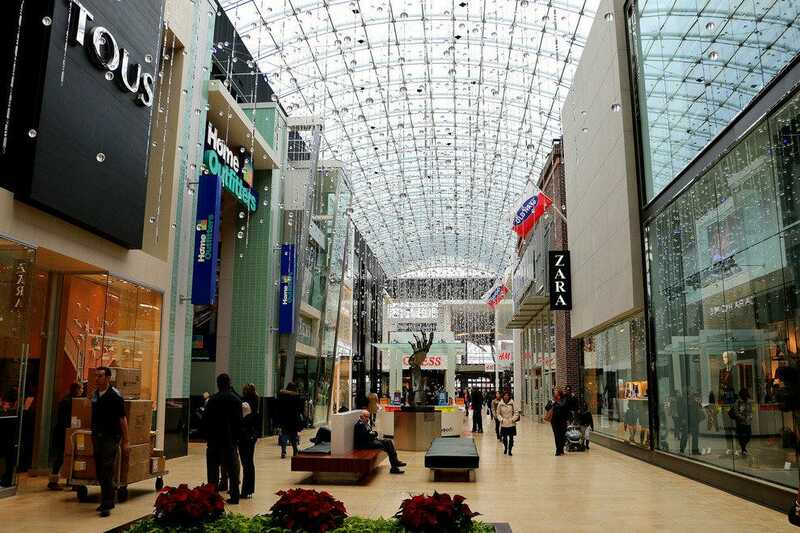 Travel several km west of Toronto for the spacious Sherway Gardens mall in Etobicoke. Open since 1971, this mall has expanded every decade to include 1,182,000 square feet of retail, with a recent slant to more luxury brand and fashion-conscious items. The mall somehow seems much smaller than it is, with low hanging ceilings and a figure-8 layout. 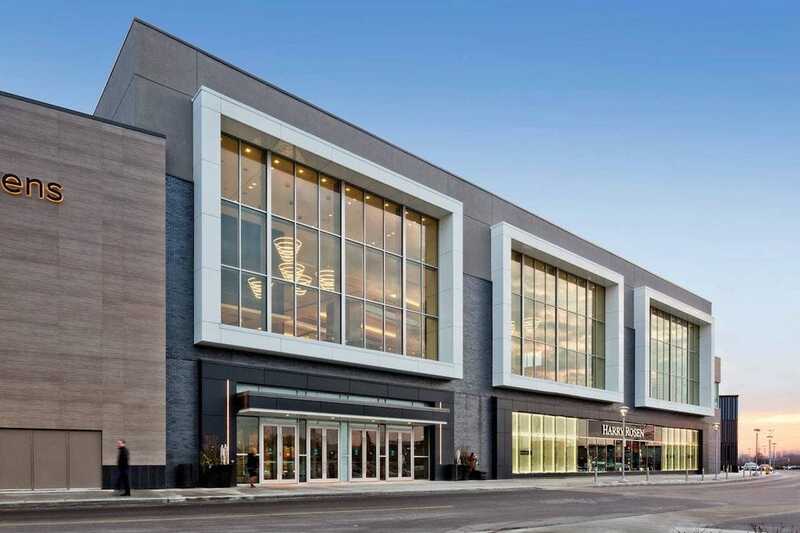 A recent $550 million dollar expansion make Sherway look gorgeous and modern. Sherway also has a farmer's market every Friday from 8am-2pm featuring farm-fresh eggs, baked goods and organic fruits and vegetables. There are now 215 stores, with Saks Fifth Avenue (150,000 square feet) and Nordstrom (140,000 square feet) recently added to the mix. 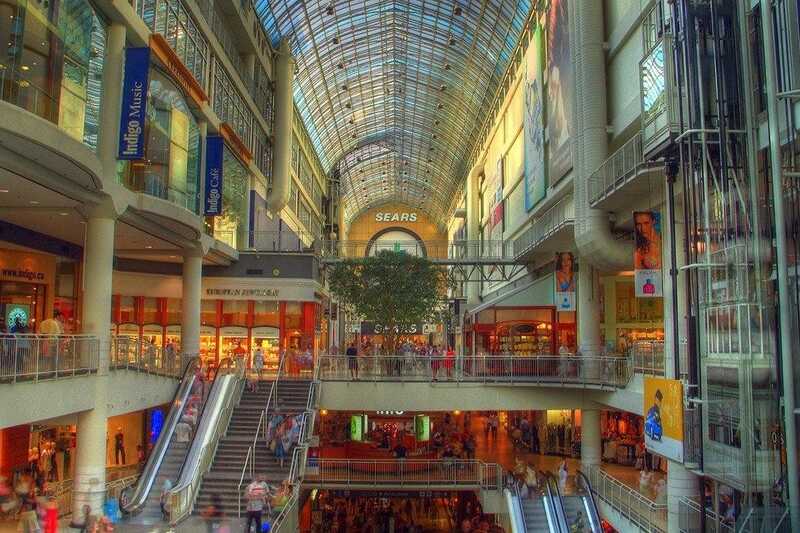 The Eaton Centre is eastern Canada's largest shopping mall, and Toronto's top tourist attraction. Each week, the mall plays host to more than 1 million visitors, who come to shop to their hearts' content at more than 230 stores spread across 1.7 million square feet of enclosed space. The Toronto Eaton Centre offers fashion from some of the leading retailers from Canada and around the world, including Steve Madden, Aritzia, Coach and Forever 21. After a long day of searching for trends and bargains, shoppers can relax with a great meal at one of nine restaurants located in the Eaton Centre, or quick eats from one of over 30 outlets in the Urban Eatery food court. Queen Street stretches right across Toronto, from east to west. Given its length and the fact that the Queen streetcar makes it possible to travel the street's full distance, it makes sense that Queen Street is dotted with neighbourhoods that have their own unique vibe and stores that range from mega-retailers to mom-and-pop shops. 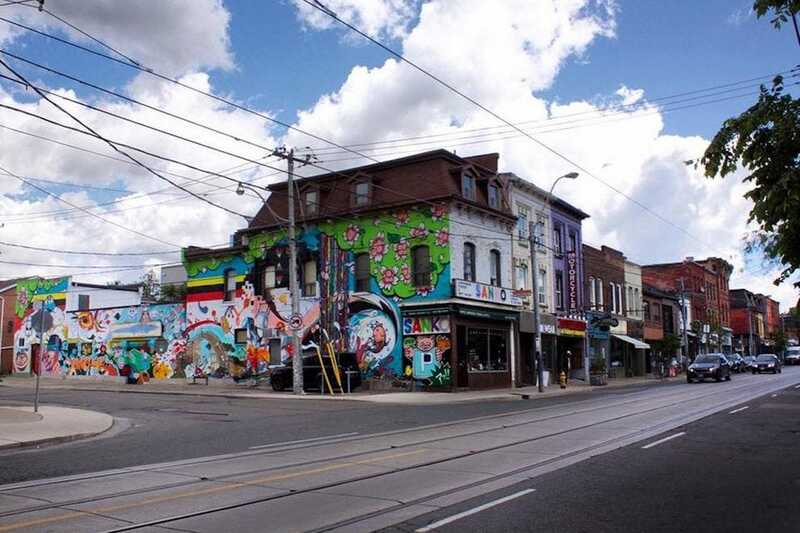 The stretch from University Avenue west to Spadina Avenue, known locally as Queen West, was the epitome of cool for shopping and entertainment in the 1980s and 1990s, and is still lined with leading U.S. retailers and great music venues. The street's gentrification has continued west of Spadina over the years, and today so-called West Queen West is home to great shopping for those interested in boutique design, vintage furniture and clothing and an almost overwhelming number of amazing dining options.